Power Data Recovery for Windows 10 works with a huge number of storage media, launches data recovery on hard, optical, physical disks, flash drives, sticks. When the scan is finished, a possible reason for deleting the files is displayed. Damaged or deleted hard drive partitions can be viewed in an additional window with alternate volumes. Modern scanning algorithms help to find all residual folders, fragments of media files for an attempt to re-save on the device. 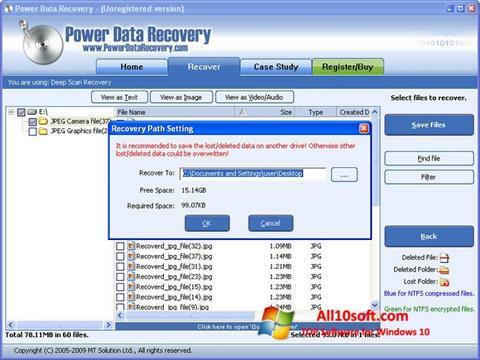 You can free download Power Data Recovery official latest version for Windows 10 in English. Publisher Software: MiniTool® Solution Ltd.